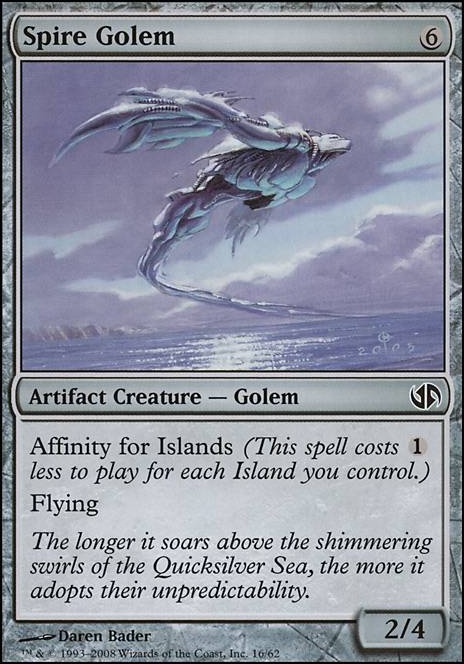 Affinity by its correct term stands for the cards that reduce their cost for how many islands or forests, etc you have. (See Tangle Golem and Spire Golem). What affinity has changed to is simply the use of artifacts. I say this from the perspective of our opponents. I understand this is a different type of deck but when I turn one drop artifacts down my opponent goes oh he's playing Affinity. This is just another spin on the typical deck. Although it's not the standard use of affinity using the typical standard cards, because it still uses artifacts it isn't called anything else by anyone else I have played. Actually playing last Friday night (and getting 1st place) the consensus is that this deck is called: "Affinity?" and honestly that's perfect in my book. (That being said our player using the Jeskai Ascendancy combo deck has been called a Storm deck. I suppose both names are correct.) The game plan is definitely different but I still get low drop artifacts out and empty my hand just as quick but how the creatures get buffed are different; the synergy is just different. Ensoul Artifact and Tezzeret's Touch is still synergistic with the deck like I said it's just a different way to do it. I like this version because I find it's quicker than the standard Affinity deck and I needed speed to beat combo decks before they can go off. I just couldn't see myself playing Master of Etherium over Tezzeret's Touch because you would need 4-5 artifacts out that can swing when you play Master as opposed to Touch. that probably happens fairly frequently but my point just remains there are many ways to skin a cat. It may just be my meta but I haven't needed to deal with removal as much and when I do I can counter it fairly easily. I have not had a problem with metalcraft except trying to use it turn one which is not the use for it here. 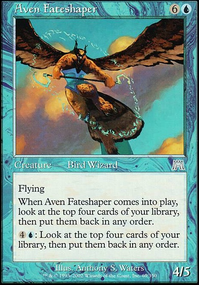 Galvanic Blast is pretty much used to either close out the game, which by then should hit for 4, or hit a creature for 2 and kill their turn one Birds of Paradise. Shrapnel Blast is used similarly. My favorite play is hitting for 5 on turn 2, 10 on turn 3 (With either Touch or Shrapnel) and winning the next turn or sooner. Cranial Plating is just used to get another threat out. If for some reason my 5/5 creature does die or I want to swing for more, the equipment can just turn another cheerio into a threat. Also, very important here, you can attach Cranial Plating at instant speed for when they have an Ensnaring Bridge out. That has come in handy a few times. 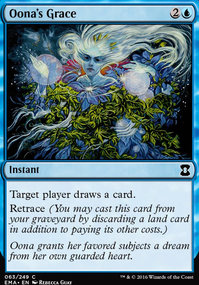 Your deck including Ensoul Artifact is good but you failed to address the best removal in the format as you have said. Sure your artifacts have indestructible but that only stops one removal spell, Fatal Push but Abrupt Decay still hits the enchantment, Path to Exile still exiles your creature and Dismember still kills your creature. So it's a good deck but counterspells such as Stubborn Denial has worked out for me to counter these threats (not Abrupt Decay, honestly you can't really do anything against it if you play decks like these) as the opponent gets them. 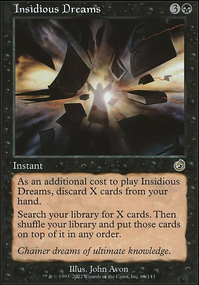 I do like the inclusion of the discard in black and that is most likely your way around the removal spells. I haven't touched black very often in this deck and although I want to I haven't found the need at this point but I still have the ability to. I like the sideboard consisting of more artifact targets to enchant or sacrifice. 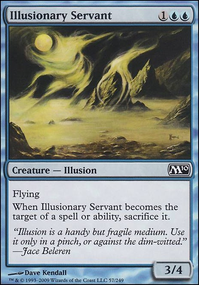 Important: the main card against any Affinity deck is Stony Silence and from the use of either my deck or yours (not including equipment, side them out) Nothing gets hit by silence. I really like the modern gobots deck. It seems like a fun playstyle and I have not thought about putting together goblins with cherrios. It seems like a fast play, much of what I am trying to accomplish here. I'll stick to mine for now but I very much like the idea. I was interested in your other deck at first simply because Ensoul Artifact was the featured card. My idea for unprivatizing my deck was to just show you this because I thought we could share ideas. This is not to say you couldn't run Ensoul Artifact in your sideboard or I couldn't run Alpine Moon. I thought its inclusion was very interesting. I also liked your manabase. I have to run different cards because I don't run as many artifacts like Ghirapur AEther Grid isn't as good for me but perhaps you may like adding Phyrexian Revoker. 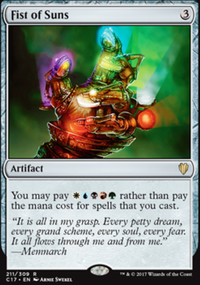 I also just feel in love with the card Torpor Orb and I see you may have already gotten a ton of usefulness out of it. In conclusion I just liked to share my idea. Sure we run similar cards and the playstyle is definitely different but we could learn a little by getting out of the box and see your cards and you mine. I wish to keep these comments but because this is the deck I run I wish to privatize it again. If you want you can copy it before I do so. @ Dete So, talked to a buddy of mine regarding the Manabase and recommended me to cut 3 of My Island and 1 Faerie Conclave taking the median between your Suggestions I'd test the deck with 21 total Lands cutting 2 Islands and 1 Man-Land. Regarding you Card recommendations, I actually have a Playset of Supreme Will which I could try, I just didn't include it in my first draft because it seemed to slow. Am I underestimating Supreme Will? And Echoing Truth Seems a little odd, as I can't even think of a common Matchup where I'd want to Sideboard it in yet alone maindeck it, could you give me insight toward what archetype you like using it against? And last but not Least, @ xyr0s recommended Nimble Obstructionist which sounds great and seems like it might be better than Supreme Will (Having a Similar amount of Flexibility) as well as possibly being better than Spire Golem now that I reduced the amount of Islands. What do you think about Nimble Obstructionist @ Dete? 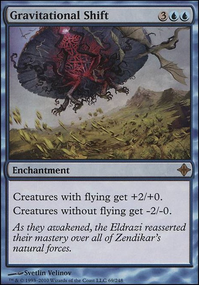 as far as i know the only phyrexian mana spell banned was Gitaxian Probe and for the mana base, i think since your most expensive spell is the Cryptic Serpent and Spire Golem and cost less with everything you play 21-22 lands seems like the amount you would need, Supreme Will might be a nice flexible card for your needs, Echoing Truth is a card i like for some match ups. @ xyr0s I could see Nimble Obstructionist being better than the two Spire Golem as they serve similar purposes but the Nimble Obstructionist has that neat cycling trick up its sleeve which sounds fun to use so I'll see if I can get my hands on a pair of those. Now, regarding the Land situation, I have serious Issues evaluating the Cantrip-Land ratio Thing. I once heard that for every two Cantrips you can cut one Land but find that a little odd to implement. Could you recommend me an amount of Lands to run and how you changed your calculations based on the Cantrips? @ Dete thanks for pointing out the probe thing I wasn't aware of that. and Cryptic serpent does sound awesome and considering its an uncommon from a recent set it should be easy to get so I'm totally replacing the Gitaxian Probe with Peek and maybe the Tempest Djinn and one of the Spire Golem for two Cryptic Serpent. 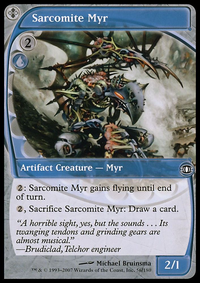 On a side note, did any of the Other Cards for Phyrexian Mana get Banned? I always found them quite powerful because you could use them in decks that didn't have their colour, especially Gut Shot and Dismember as well as that one Imp artifact Creature or the Spellskite. Preordain can get rid of cards that you don't want, where as with Brainstorm you have to draw the cards that you put back on top. the deck has a very high chance of flipping delver even without Brainstorm: about 41.5% for a blind-flip, plus 9 cards that manipulate the top of your library. This means that Preordain is superior because it can smooth your draws better. If you really want to play extra copies there are 4 flex-spots - the Vapor Snags and the Spire Golems. In a vacuum Brainstorm might would be better but I think these are favored in the current meta. MrLinuxFish I'm not sure what some of the creatures in the list are doing for you.. It seems like a spell of a similar mana cost or something to protect Talrand would almost always be preferable. Specifically I think Cloud of Faeries, Myr Sire, Slither Blade, Spire Golem, and Stormbound Geist are prime targets for cuts as they don't really do anything and their bodies just aren't that relevant. Especially when you consider that you could just be getting an incidental 2/2 flyer for free by casting a draw spell or something.